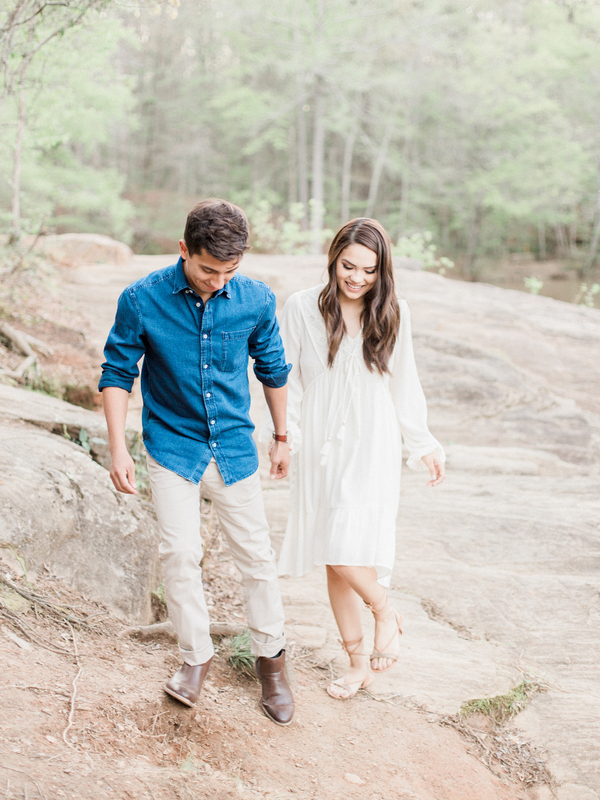 Nancy & Cristian | Spring Engagement Session at Sweetwater Creek State Park in North Georgia | Atlanta Fine Art Portrait & Wedding Photographer | Georgia Fine Art Portrait Photographer | Atlanta fine art portrait photographer for the joyful and romantic souls in Georgia and throughout the southeast. 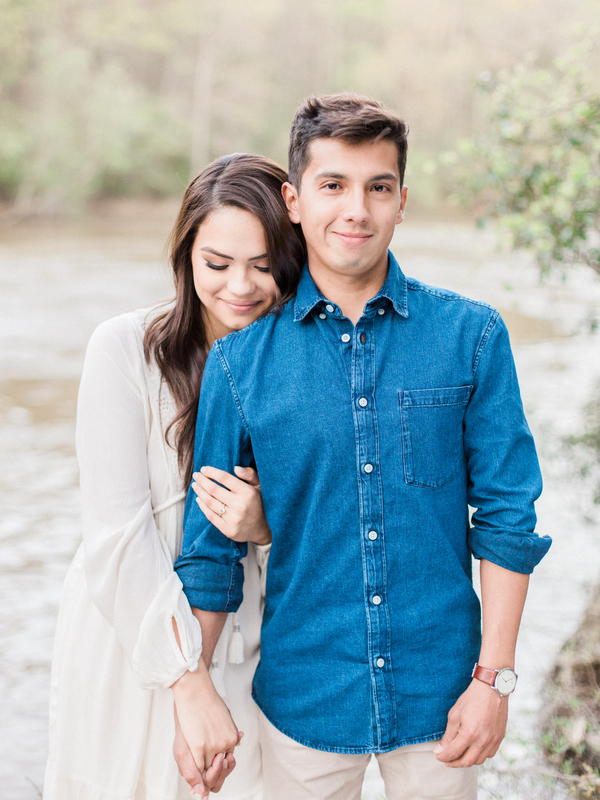 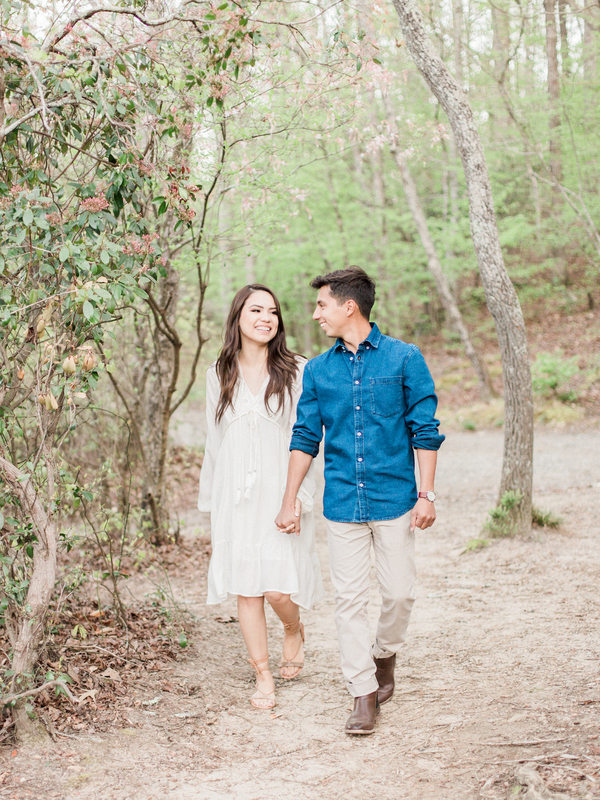 Sweetwater Creek State Park is one of my absolutely favorite places to shoot, and I was so excited when Nancy and Cristian chose it as their engagement session location! 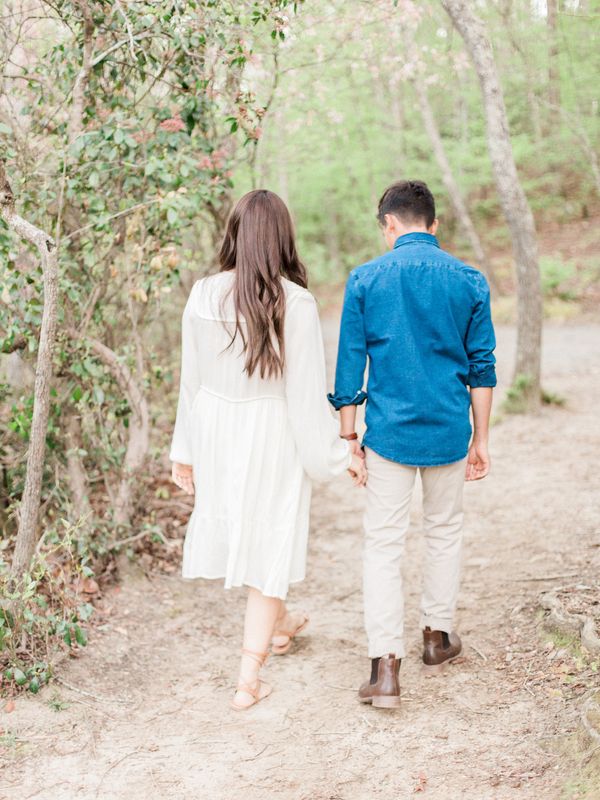 I love soft neutrals (I believe denim counts as a neutral!) 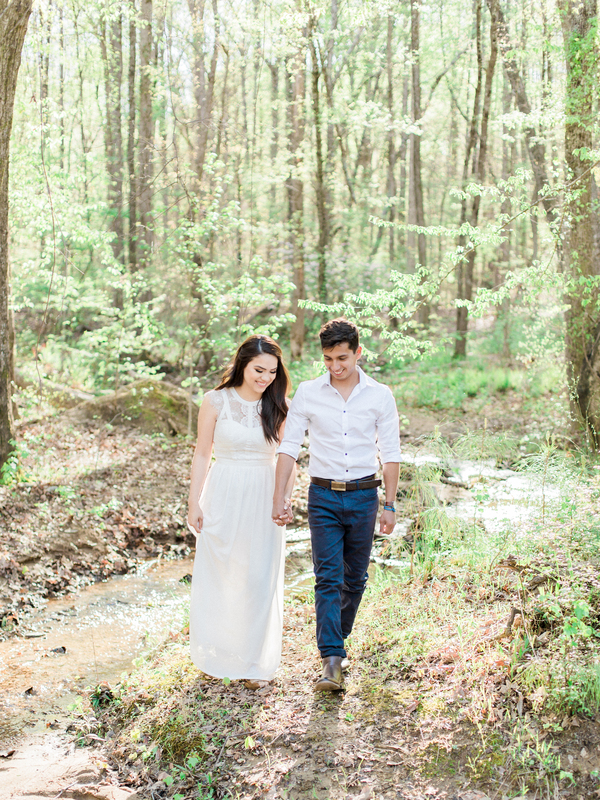 and pastels paired with natural, organic settings and elements. 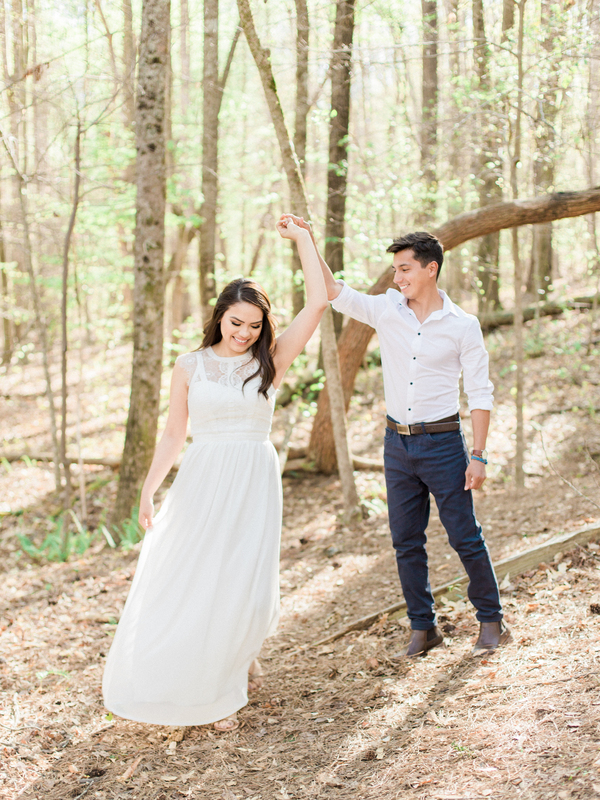 Nancy and Cristian were so adorable to say the least. 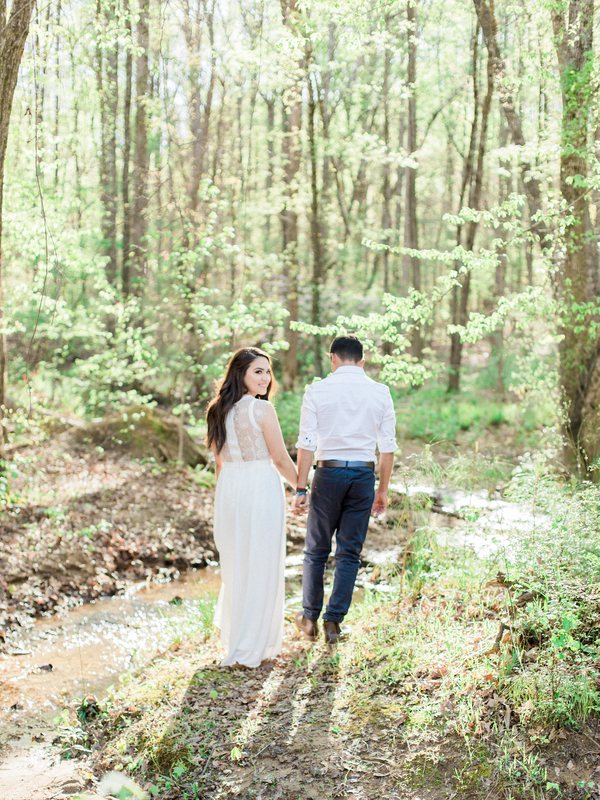 I loved that they were adventurous and trusting enough to entertain skipping and hopping across little creeks, streams, and muddy ground to get to the perfect spot. 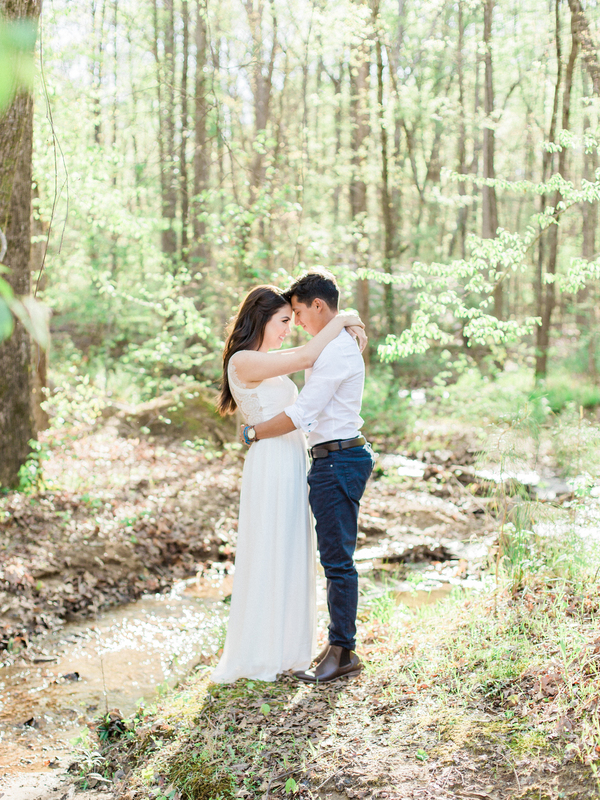 You can check out their beautiful wedding day at Hays-McDonals Farm in Jefferson, Georgia HERE. 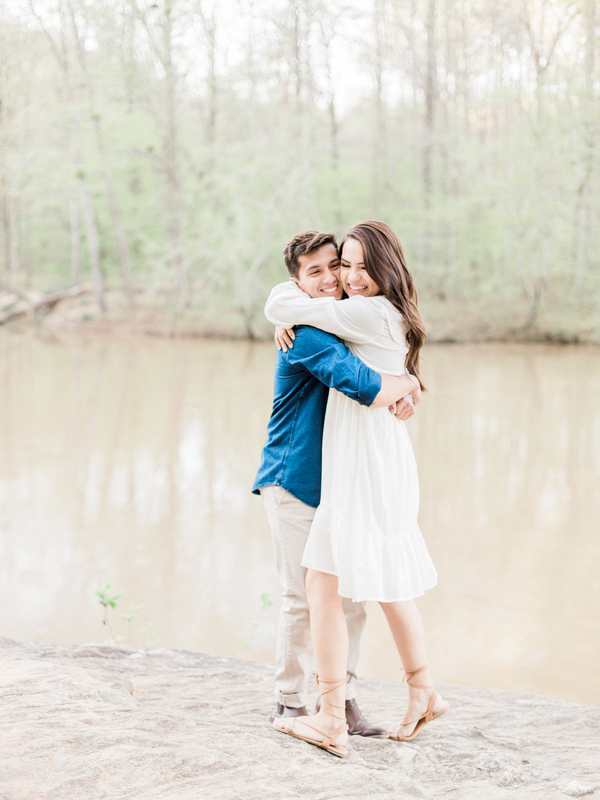 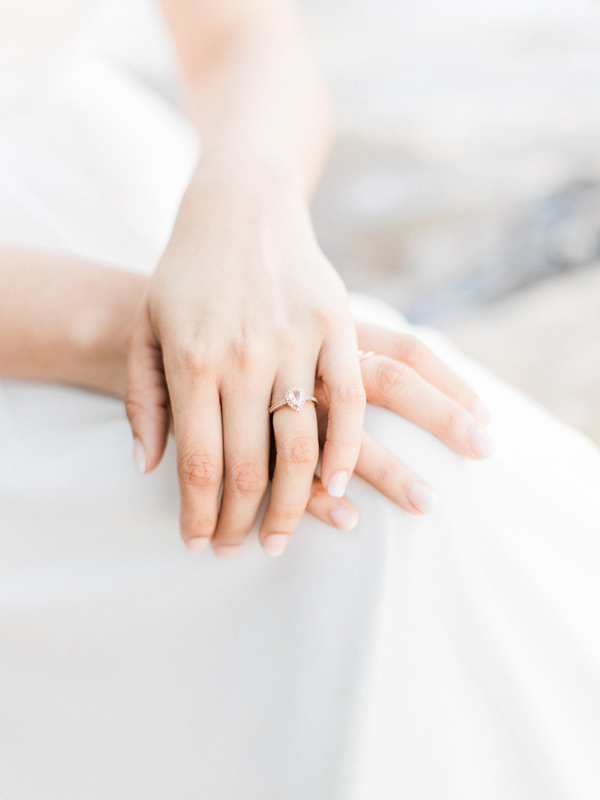 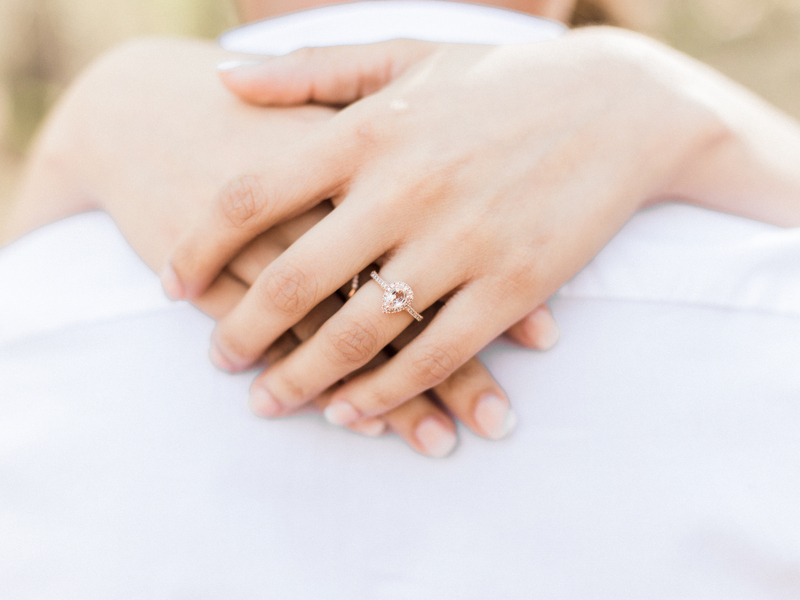 Click HERE to book your engagement session!